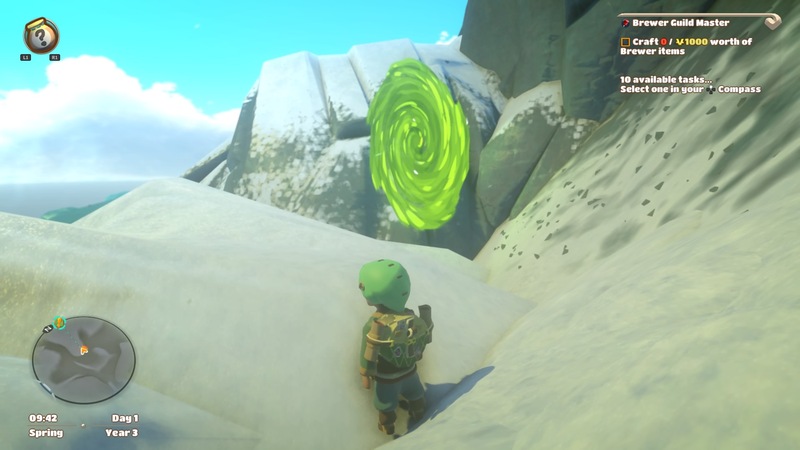 Yonder: The Cloud Catcher Chronicles kind of blows my mind. I enjoyed myself and at the same time, I find myself frustrated with the whole concept. The whole experience is mentally exhausting and yet one of the best ways I can wind down lately has been to play some more Yonder. It’s an interesting game to be sure, but do you get your monies worth of adventure and fun in this collect-a-thon game? I believe there is a good case to be made here for both sides of the coin. Let me break it down for you. Fishing at night, it’s tough, but you automatically attach your lantern to your pole so it’s not impossible. Above all else, while I would classify Yonder as an open-world, exploration game, I would label it more as a craft & collect-a-thon. From one thing to the next, Yonder is about going out and venturing forth and collecting things and then bringing them back. Sometimes you’ll have to craft something or just bring back the crafting materials. A good chunk of the quests have crafting components to them as well. The ones about building stone bridges are probably the worst offenders in the game. It makes sense, but it’s still a lot of work… and there are a fair number of bridges for you to build in this game. Or it feels like it after the first one is done and you find another. Go ahead; step into the light! It’s OK this time, I promise. The crafting is kind of a mixed bag. On the surface it’s pretty good in how everything ties together even if building a stone bridge takes everything and then a kitchen sink to build. The main issue I have with it is the resource management system. I wish Yonder had an auto-arrange feature to put things in order. There is a filter option that well… filters, but there are like forty filters to scroll through and if I could just organize the items in the first place, I wouldn’t use the filters. 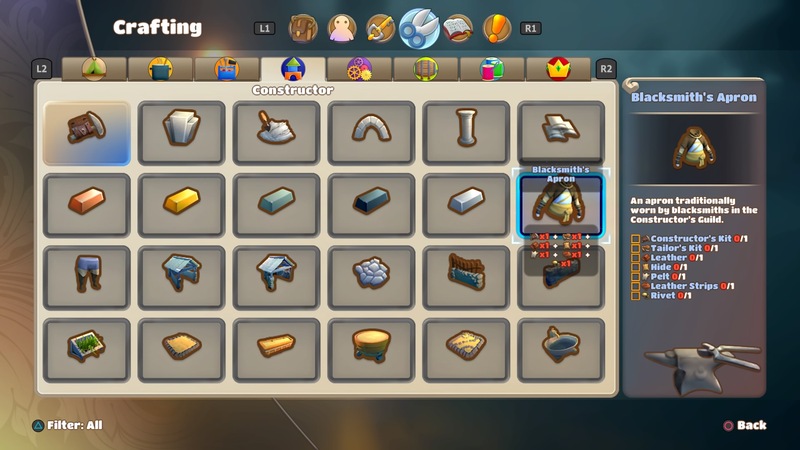 Even after you filter your items, you still have to go through all of the items because they are placed in your inventory in the order that they were plopped. It’s small and inconvenient, but with such a heavy emphasis on collecting and crafting, I just want it to be easier to gather my things from the main storage container. Crafting in and of itself is easy because when crafting it only shows you what you can use (unless you’re a collecting fool), but when you want to gather stuff to take somewhere else… blagh! When walking down hills is just so passe. Actually, that brings up some bigger issues. Nothing seems to really matter in Yonder. Sure you can gather cats and bring people things they want, but it doesn’t seem to change anything or push some bigger narrative. The only thing that does seem to push the narrative is the murk clearing. Even then, it feels more like you’ve just mowed someone’s lawn that hasn’t been touched in a year and a half. Sure it looks better, but now you really only gained access to a broken house or a treasure chest that doesn’t really help in the long run. If you farm potatoes and gather grass, you can hire and purchase basically everything you’ll need if you don’t want to gather more. It will take longer, but it is possible. (I’ve bought $300+ items for a boat-load of grass which made me laugh a little.) Building the Cloud Catcher is one of the final things to do in the game and the area you unlock has more to do with the story than rest of the game and it’s pretty barren as far as things to do and collect. “Gottah catch’m all”, except they are sprites this time and they only have one move, but they are a lot more conversational. Possibly the coolest looking cloths in the game… and I’m missing one item from each recipe so far that stops me from building either…. AARRRGH! This may seem to be painting Yonder in a bad light… and yeh, I can see that. However, with all of the things that bother me (not including the art direction they chose for the people), Yonder is a joy to play. Yes, some of the aspects bother me, but it’s pretty relaxing running around in a world where nothing will attack you. I even let my kids run around and collect stuff (which equates to breaking, cutting and chopping things down so they had fun). Getting past digging through your bags, exploring all of the lands and gathering all of the many different things that are out there and then going back to your farms to play was fun (even if some of the farms were only found when exploring out-of-the-way places). You can organize your farms however you want and were only constrained by the size and there are some larger ones out there. Building bridges was a challenge, but it felt good when the tasks were done. 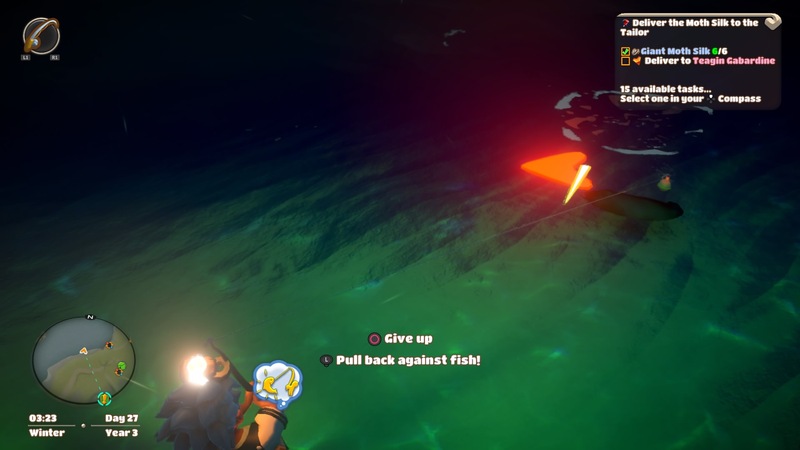 Fishing was a fun mini-game of sorts and I enjoyed that quite a bit. 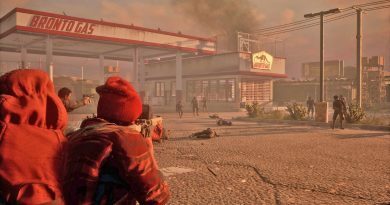 While walking around did get a little tiresome, but you needed to do that to find all of the little hidden things to finish up all of the overarching objectives like planting all of the trees or finding every lost cat and it was interesting. 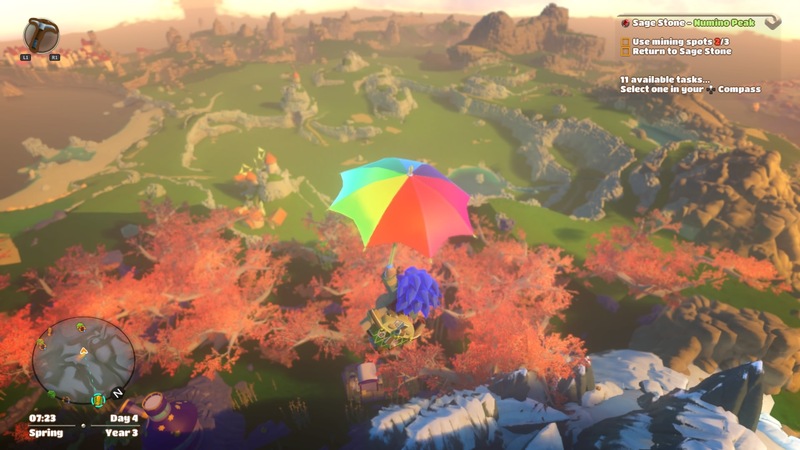 There’s a lot of things in Yonder: The Cloud Catcher Chronicles that are pretty good. I really enjoy the world created by Prideful Sloth. There is plenty to explore and find hidden throughout the many areas. It all looks cheery and there is a real sense of accomplishment when finishing some of the quests and buildings that really pats you on the back in a non-patronizing way. 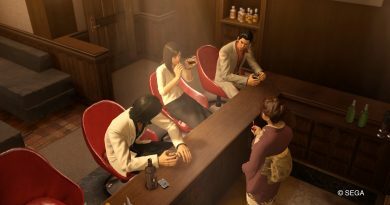 While not my favorite crafting system, it was a very well done, interconnected in a non-convoluted way, but it didn’t have much of a personal touch as say Reckoning. (I’m a sucker for a great crafting system though.) 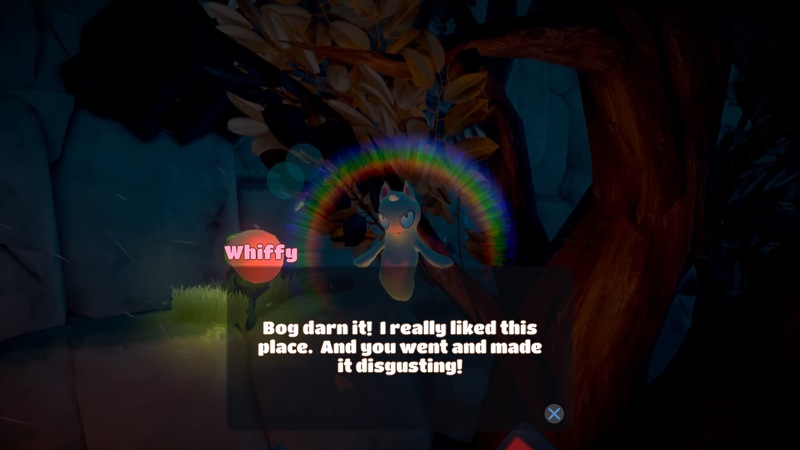 Personal advice to anyone playing Yonder would be to not finish the game until you feel you are done doing everything else that you think is interesting. The world is fun to explore, gather some animals to farm because you want to, build stuff… all that jazz. I wanted to do a little more, but the ending was pretty “meh” and killed the desire to go on. 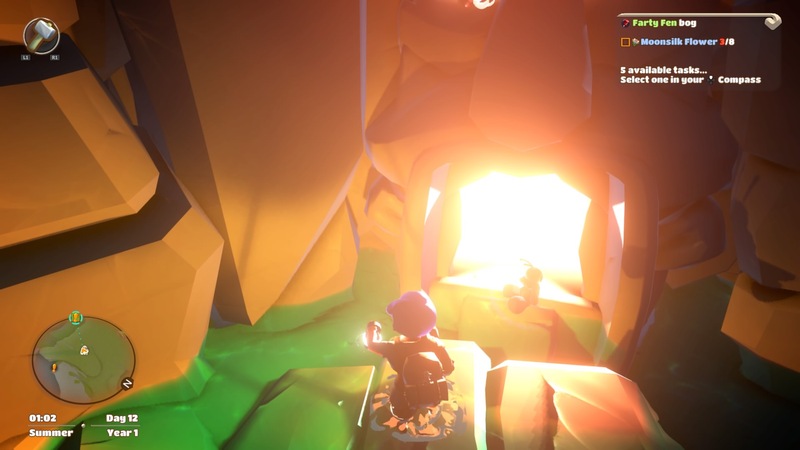 Yonder felt less like a story that needed to be told and more like a game world that needed to be experienced. $25 might be a bit high of an asking price for me personally, but Yonder can be very enjoyable, stress relieving and fun for a family to play together. 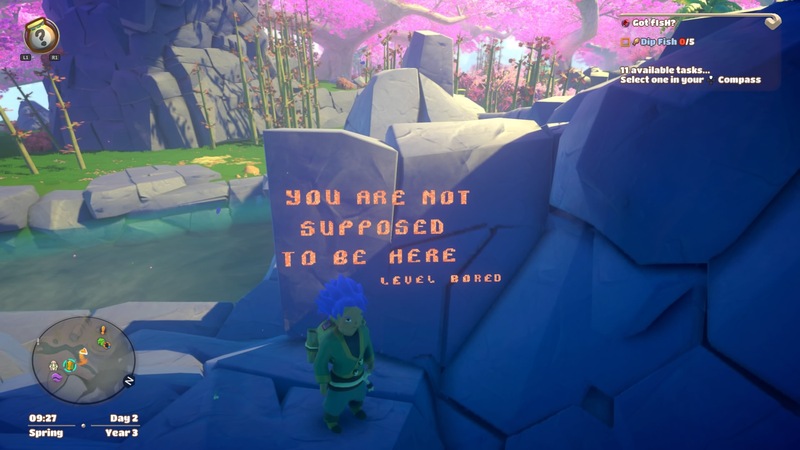 If you’ve got kids that you’d like to introduce to 3D platforms and exploration games that you won’t mind playing yourself, Yonder is pretty fantastic. Or maybe you need some stress relief and want a relaxing game that will give you a calming experience, welcome home. I visited this place a few times… out of spite. No rock tells me where I can and can’t go! Take this you filthy rock!